Donald E. Westlake is one of the greats of crime fiction. Under the pseudonym Richard Stark, he wrote twenty-four fast-paced, hardboiled novels featuring Parker, a shrewd career criminal with a talent for heists. Using the same nom de plume, Westlake also completed a separate series in the Parker universe, starring Alan Grofield, an occasional colleague of Parker. 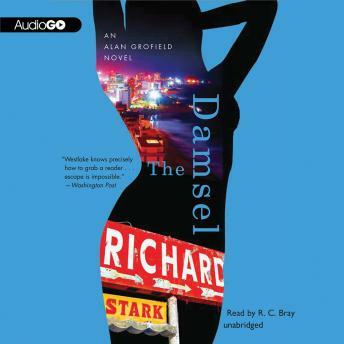 While he shares events and characters with several Parker novels, Grofield is less calculating and more hot-blooded than Parker; think fewer guns, more dames. Not that there isn't violence and adventure aplenty. The Damsel begins directly after the Parker novel The Handle. Following a wounded Grofield and his damsel on a scenic, action-packed road trip from Mexico City to Acapulco, The Damsel is full of wit, adrenaline, and political intrigue.